Summary: Today we review a book that held special appeal to the Marine Special Operations Command’s (MarSoc’s) Foreign Military Training Unit (FMTU) because the it tells of a covert expedition — what today we’d call unconventional warfare. 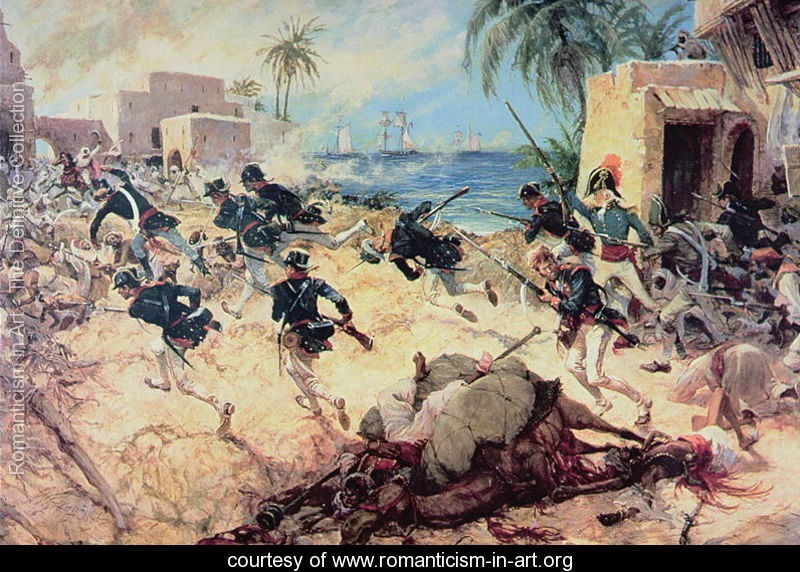 Nothing is truly new in war, as this was the Marine Corps expedition to the shores of Tripoli in 1805. Reviewed by Andrew L Crabb. Originally published as “The Rough Math of Surrogate Warfare” in the Marine Corps Gazette of November 2007. Republished here with their generous permission. State-sponsored transnational threats range freely across large swaths of ungoverned spaces, utilizing terror to intimidate the governments of Old Europe. Rogue governments and the illegally armed groups they sponsor extort payments, enslave, persecute innocents, and generally wreak havoc throughout the surrounding region. After its own citizens are taken hostage, one country, the United States, stands up to stop this injustice through force of arms. After being frustrated by conventional forces’ lack of progress, a small covert element infiltrates into the area of operations, enlists the help of local forces, and achieves stunning success. 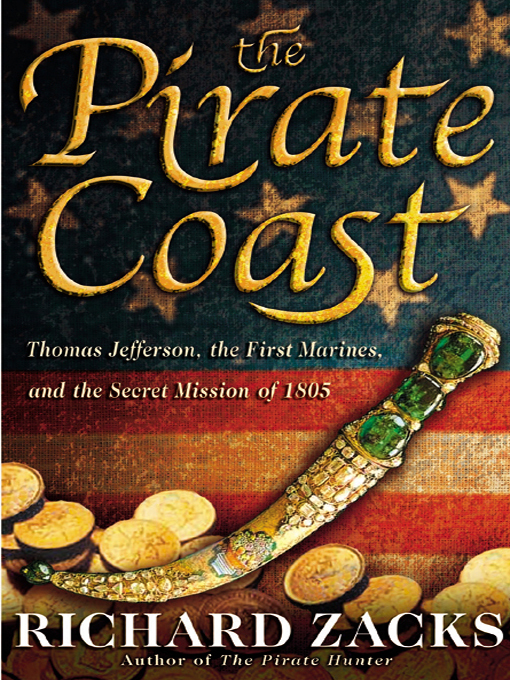 While this scenario could easily be mistaken for a sound bite from the Cable News Network, in fact these are just some of the details from the extraordinary book, The Pirate Coast: Thomas Jefferson, the First Marines, and the Secret Mission of 1805. Of course, the story resonates with every Marine because it is the backdrop for the line, “. . . to the shores of Tripoli,” in the “Marines’ Hymn.” The book held special appeal to our unit, the Marine Special Operations Command’s (MarSoc’s) Foreign Military Training Unit (FMTU) because the leadership of the covert expedition undertook what would be called, in today’s Department of Defense (DoD)speak, unconventional warfare. Unconventional warfare is defined in Joint Publication 1-02, DoD Dictionary of Military and Associated Terms, as “military and para-military operations, normally of long-duration, through, with or by indigenous or surrogate forces” for the purposes of achieving our own national objectives. It is one of the capabilities being developed today at the MarSoc. The expedition of 1805 was by definition a classic unconventional warfare operation. While most Marines are vaguely aware of the extreme dangers and hardships of that expedition, the vast majority of Marines aren’t taught the unsettling facts that eventually clouded the heroic success of our forces. The FMTU recently hosted the author of this rousing tale to personally detail the results of the extensive research that fueled his book. The author, Richard Zacks, gave a presentation that proved every bit as interesting and thought-provoking as his book. Mr. Zacks specializes in “historical oddities” and history “off the beaten path.” The subject matter of his past books (The Pirate Hunter (2003), An Underground Education (Anchor, 1999)) points to his interest in uncovering bizarre details from history and demonstrating their larger and lingering effects on the history that followed. Mr. Zacks, a scholar fluent in several languages, was inspired at a young age by the movie, Lawrence of Arabia, and T.E. Lawrence’s book, The Seven Pillars of Wisdom. The Seven Pillars is considered the archetypal account of an unconventional warfare operation. This is probably what led Mr. Zacks to seek out the details of America’s own first brush with surrogate warfare-the Barbary Wars. In 1801 the Barbary state of Tripoli declared war on the United States for refusing to honor the extortion payments it demanded. Its ships then began actively seeking out and attacking U.S. merchant ships in the Mediterranean. These attacks led to an attempt by the United States to utilize its tiny fleet to blockade Tripoli, and a debacle of exponentially larger proportions followed. One of our warships, with its complete complement of sailors and Marines, was captured and taken as a prize of war. The United States continued to conduct force-on-force conventional warfare, even leading to a daring naval raid to destroy our captured ship right under the noses of Tripolitan artillerymen-by then-LT Stephen Decatur. While these heroics made headlines, they did nothing to free our countrymen from slavery. Then an enterprising former disgraced Army officer and diplomat convinced the President, Thomas Jefferson, to sponsor an effort to return the Tripolitan rulers deposed brother (and rightful heir) to the throne. The odds against this soldier, diplomat, and now “naval agent” were huge, but the personality of William Eaton was dominating and intense. 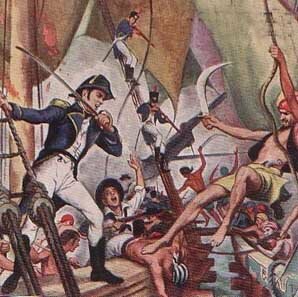 Aided by a small contingent of Marines (8 to be exact), to include the now-famous Lt Presley O’Bannon, William Eaton went to Egypt to find the Tripolitan prince. What he found in Egypt was complete anarchy. Suffice to say, Eaton navigated the terrain of mercenary armies, Bedouin profiteers, and a general state of civil war to find the prince. He then persuaded him to lead an expedition against his brother. The fact that the prince had almost zero charisma and little enthusiasm added to the mountain of challenges Eaton faced. The expedition was eventually composed of several hundred Arab cavalrymen, Bedouins, 75 Christian mercenaries, the aforementioned Marines, and a few sailors. The expedition moved across the Sahara and, several times, came to the edge of mutiny, dissolution, and internecine conflict. Each time all seemed lost, Eaton, through force of personality and sometimes sheer luck, kept the force together and the prince from fleeing. The high point of the expedition came, of course, with the seizure of Derne, Tripoli and the raising of the American flag over foreign soil for the first time. The Marines of the expedition and Marines of today can be justifiably proud of their accomplishments-a true feat of arms that without the Marines’ presence would not have been possible. I won’t ruin the end of the book by talking to the events that occurred thereafter. Suffice to say that even in the early days of our country’s independence, when the U.S. spirit of optimism and idealism shone most brightly, the country could still behave in a Machiavellian “the end justifies the means”-type manner. Mr. Zacks is a tremendous speaker and author. His book throws light on details of history that were on the verge of becoming myth. Fortunately for us, Mr. Zacks’ research turned up many fascinating and hitherto unknown facts; some of those facts may cause us to pause over the words “…to the shores of Tripoli” to consider the second- and third-order effects of foreign military sponsorship and intervention. For military advisors, who go out alone and unafraid, the best lesson Mr. Zacks relays is that strategically, proxy warfare is an economy of force operation. As the Montagnards and the Contras later learned, and as the Iraqis and Afghans may yet learn, there is this enduring truism. When the sponsor determines that the strategic and operational risks outweigh the benefits, the local national forces-once supported and then left behind-will have to deal with the consequences of some very rough math. Zacks spent the decade of the 1980s as a journalist, writing a syndicated newspaper column, as well as freelance pieces for the likes of The Atlantic, Sports Illustrated. The N.Y. Times, commenting on his first book, History Laid Bare, stated that Zacks “specializes in the raunchy and perverse.” His second book, An Underground Education became a cult hit; his third book Pirate Hunter” has sold more than 175,000 copies and TIME magazine chose it among the 5 best non-fiction books of the year. His works have been translated into Finnish, Korean, Japanese, Chinese, and Spanish. Lietenant Colonel Andew L. Crabb is assigned as the operations officer at the Marine Special Operations Command’s (MarSoc’s) Foreign Military Training Unit (FMTU). Previous Post US economic update. Everything that follows is a result of what you see here. The U.S. military spares no expense to reduce its military capabilities while destroying its own army, whose troops now die from suicide at a greater rate than from enemy fire. Fortunately, the American military has identified its real enemy: the American people, whose dissent might prevent our brave warfighters from getting the promotions and pensions and retirement gigs with military contractors they so richly deserve, by ending America’s endless unwinnable foreign wars. The goods news? Our military is on the job, spending itself into national bankruptcy in order to maintain the cherished capability of losing three simultaneous wars at once in different parts of the world. And as the DoD eagerly sells military weapons to local police departments to crush peaceful demonstrations around the country, there’s no doubt that the U.S. military will eventually defeat its more fearful enemy, the American people. Of course, the American people won’t do so well, what with living in tent cities and getting beaten and tased and LRAD-blasted into nervous system collapse as they ineffectually demonstrate for a living wage…but then, that’s the fate of any vanquished enemy, isn’t it?